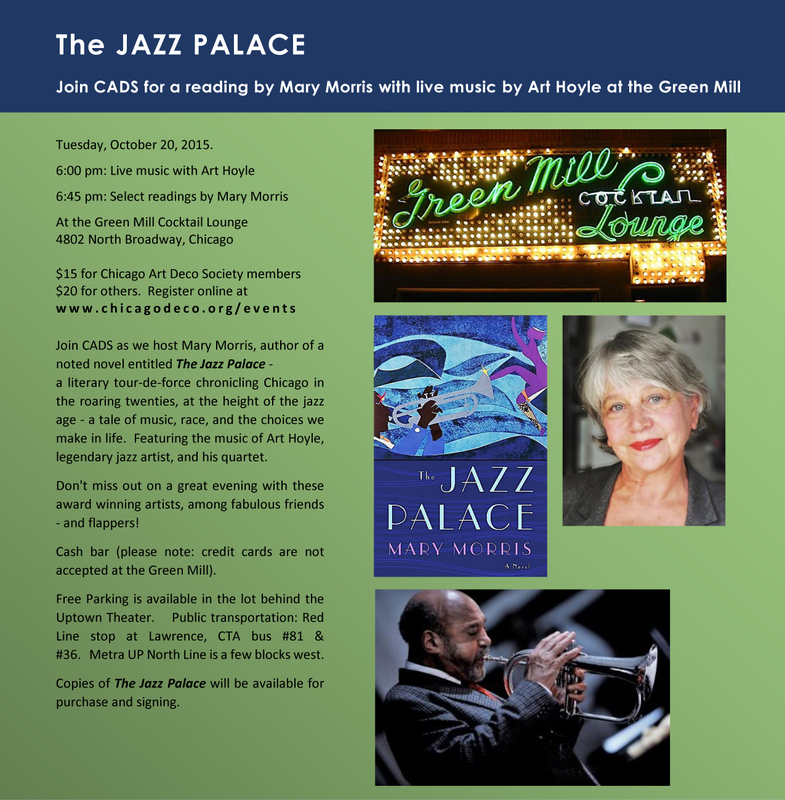 Join the Chicago Art Deco Society as we host Mary Morris, author of a noted novel entitledThe Jazz Palace- a literary tour-de-force, chronicling Chicago in the Roaring Twenties, at the height of the Jazz Age- a tale of music, race, and the choices we make in life and featuring the music of Art Hoyle, legendary jazz artist and his quartet. Don’t miss out on a great evening with these award winning artists among fabulous friends and flappers!!! Copies of The Jazz Palace will be available for purchase and signing. Free Parking is available in the lot behind the Uptown Theater.